Shaken or stirred, your martini will look super cool! Each glass is illuminated by multi-colored LED lights from the top of the glass stem. With a simple on/off button on the bottom of the stem, using the product is as simple as assembling the two pieces, pouring in your drink and dropping in the olive. 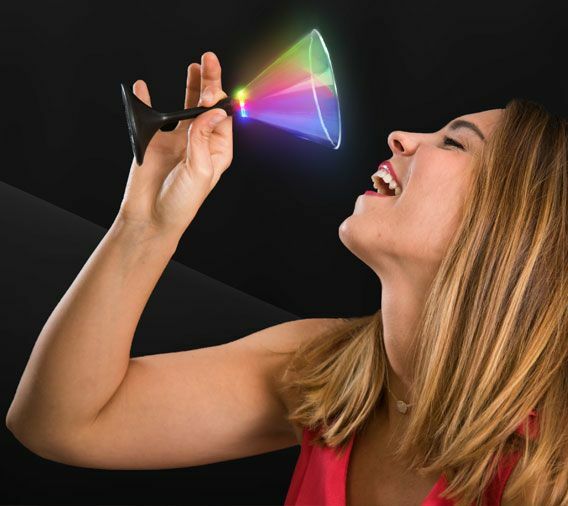 The black tie martini glass takes three AG13 batteries, which are pre-installed, and flashes multiple colors with different flashing modes.